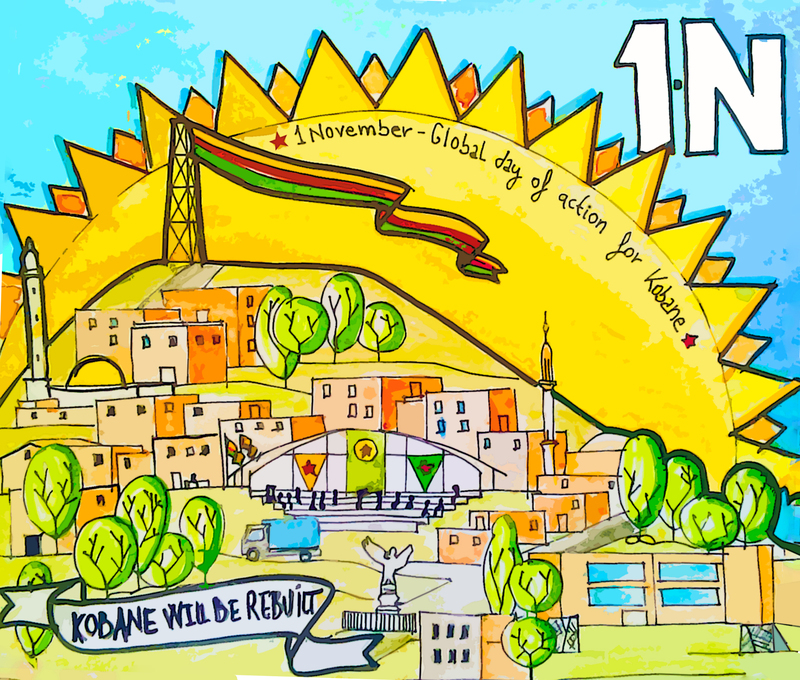 For the past four years, 1 November has been celebrated as World Kobane Day, celebrating the successful resistance against the self-styled ‘Islamic State’ (ISIS) by the predominantly Kurdish city of Kobane (officially Ayn Al Arab) in Rojava, Northern Syria. After withstanding a siege of four months, Kobane became the first big loss for ISIS, and it is widely seen as turning the tide of the war. Until that moment, ISIS had been sweeping across Syria and Iraq and taking more and more territory. Since then, they have been almost entirely defeated. 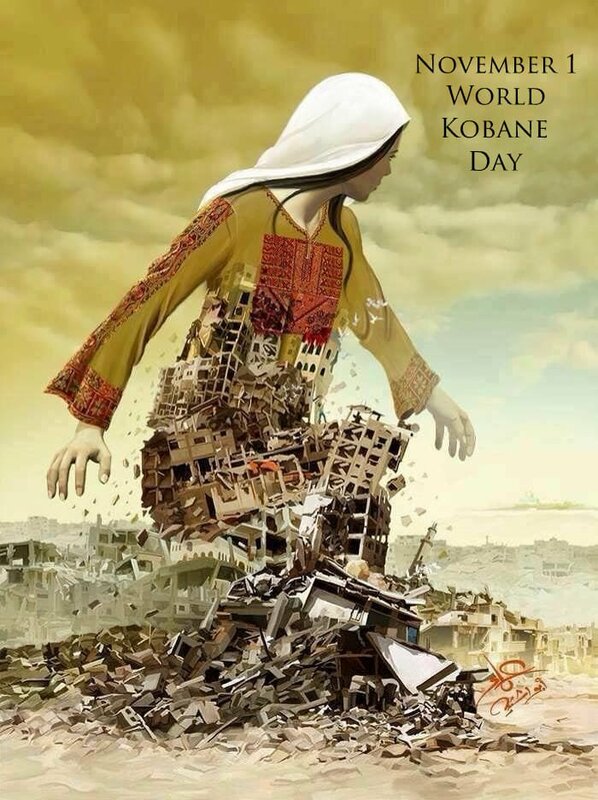 Kobane is the city in which the Rojava Revolution was first declared, where people living across Northern Syria – not only the Kurdish majority, but many other ethnicities and religious communities – have established a model of society based on direct democracy, where pluralism and women’s empowerment are fundamental. Kobane’s significance to the Rojava Revolution has led to it being targeted, first by ISIS, and now by the Turkish state. For the past few days, the Turkish army has been heavily shelling towns and villages of Kobanê and Girê Spî (Tel Abyad, another city in the Kobane region) along its border from the other side. Zormaghar, Ashma, Selim, Kor-Ali are, Charikhli, Silib Qiran, Yabisah, Til Findir, and Suskah are just some of the villages reportedly being shelled with tanks and artillery. A number of civilian casualties have already been reported, including a 12 year old girl and a woman in Girê Spî. These actions escalate the conflict, bringing war to a peaceful part of Syria, killing civilians, and also divert attention away from the last remaining pocket of ISIS in Syria, which is now gaining ground again to the south. The Solidarity Economy Association and Co-operation in Mesopotamia project call on the international community and co-operators worldwide to condemn the hostile actions of the Turkish state and to stand in solidarity with the people of Rojava, Northern Syria.